Just like anything in the world, radios only reach so far. Their frequencies can extend across vast spaces, depending on the transmitters and receivers that come with your radio. 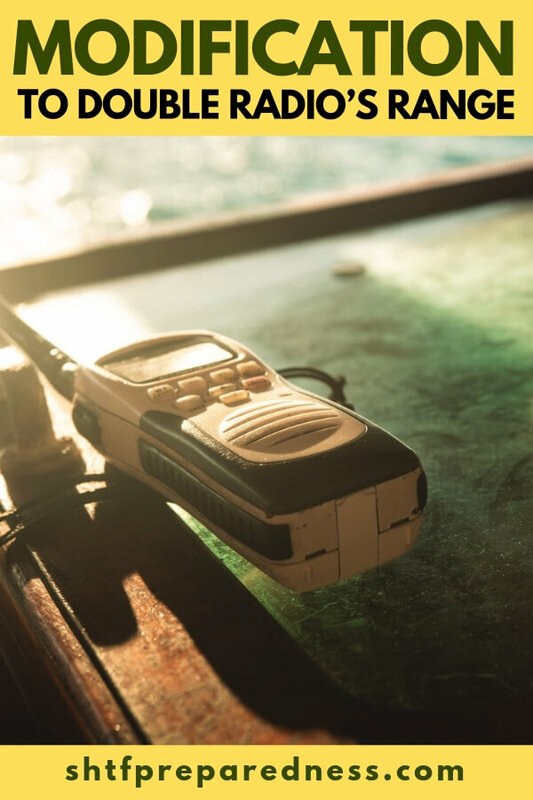 Learning how to double your radio’s range could mean all the difference for your survival. Obviously, when they reach farther, you can broadcast to a much larger audience, and when they do not go quite as far, the public you reach is not nearly as big. Extending your radio’s range can sometimes be a pricey operation as you must include many factors such as how powerful you want it to be, and how far you would like it to reach. Thankfully, there are more cost-effective methods to achieving the results you need. If we are talking about communications when the SHTF they could become your lifeline. Imagine a situation where you area communicating with a person who is giving you some serious intel on the state of the area you are in. It could be a big difference between you getting your family out in time or you staying put and falling victim to the chaos. A great bit of coms to pay attention to are those carried by the police. Police scanners are going to give you an idea of just how bad it is out there. How many calls are they taking? Most importantly, when do the police throw in the towel. 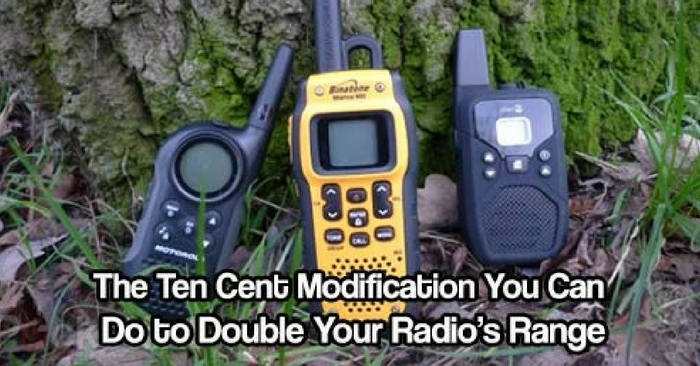 Through enhancing antennas, transmitters, receivers, and everything in between, your radio range could double or even triple when you use the ten cent modification method. Just as the name states, these revisions are incredibly inexpensive and can be rather beneficial depending on your goals. You will find that this 10 cent modification to double your radio’s range is also pretty simple to execute. That means you have no reason not to jump on this project today! The answer is a small piece of wire. The best method is to remove the insulation from that wire. Bell wire or phone wire is ideal. A 20-inch piece of stripped wire will greatly increase your quality of reception at 2 Meters.